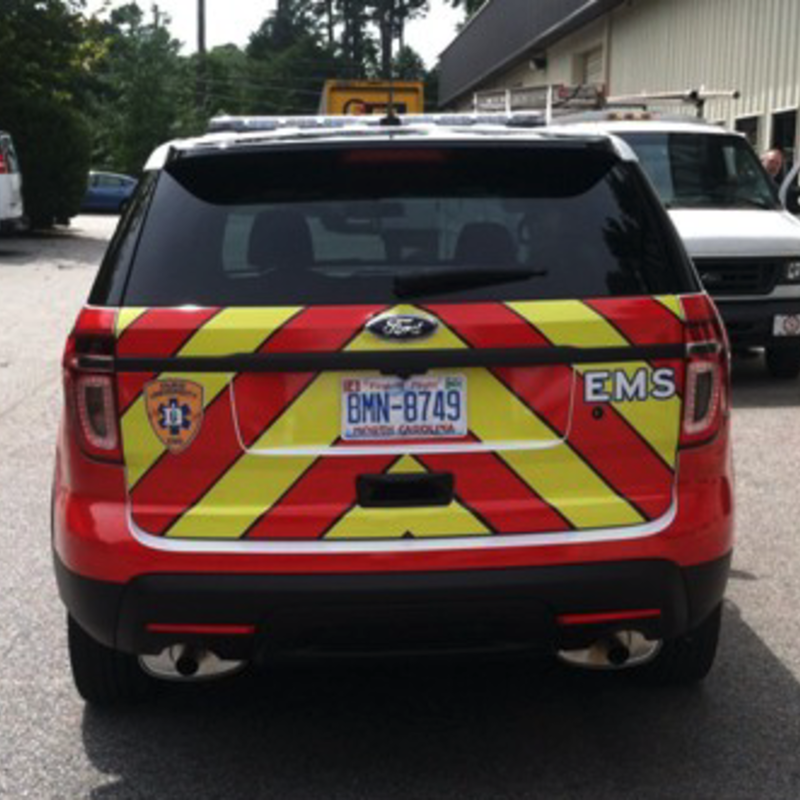 Mincey's Graphics is North Carolina's leader in unique design and quality installation of decals, wraps, films, signs, and panels. Since 1997, we have provided first class service and high quality products while ensuring 100% customer satisfaction. We offer a full range of graphic services for your Commerical Fleet Vehicles, First Responder Cars and Trucks, Race Cars, Trailers, Boats and Signage. We understand that your graphic decals and vehicle wraps represent your business, that is why our team is dedicated to producing a professional design to meet your goals. Contact us today to get started on your unique design! From Left to Right: Morgan Mincey, Secretary; Chris and Gene Mincey, Owners; Brett Horiuchi, Production Manager; Todd Hoffman, Graphics Installer. We are standing by ready to help you get started on your design! View Our Most Recent Work on our Facebook Page!